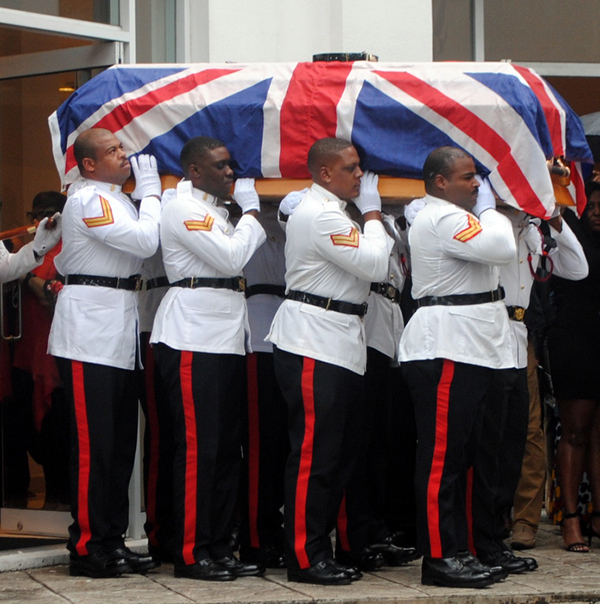 The island’s soldiers turned out at the weekend to pay tribute at the funeral of a fellow soldier, with Corporal Richardo Gibbs, who had served in the Royal Bermuda Regiment for more than 20 years, receiving military honours as he was laid to rest. Hundreds packed the New Testament Church of God in Hamilton as the father of three, who died after an accident on Harbour Road, was remembered. He added that Corporal Gibbs had spent most of his RBR career in the Regimental Police, which is responsible for discipline, security and also plays a major role in ceremonial duties. “We get along and we are family,” Lt/Col Curley said. 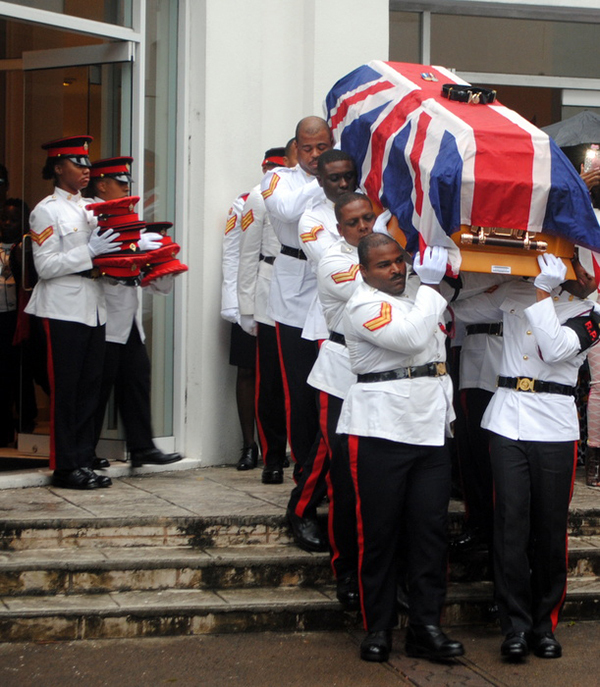 “Corporal Gibbs was all we could hope for in a soldier. 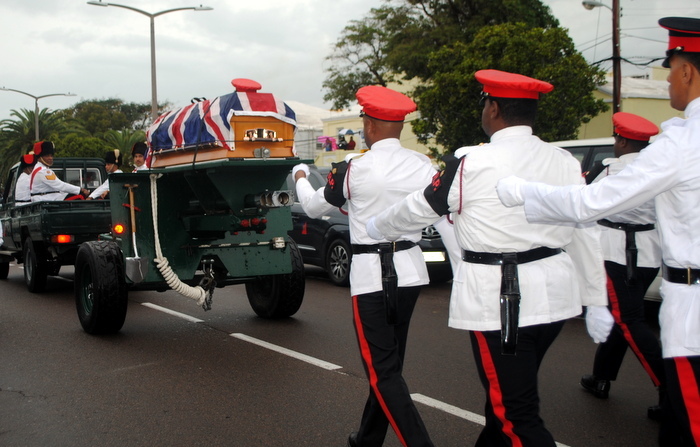 “He was a man who embodied the values and standards of our Regiment …selfless commitment, courage, discipline, integrity, loyalty and respect for others. 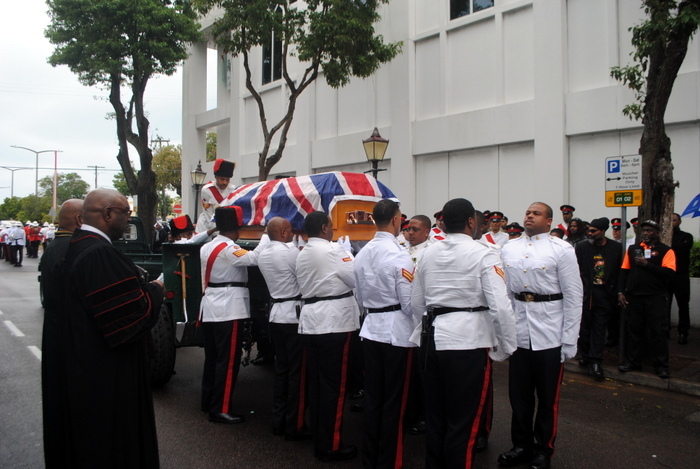 Corporal Gibbs’ coffin was taken to the Dundonald Road church on an RBR gun carriage and was carried by fellow soldiers. 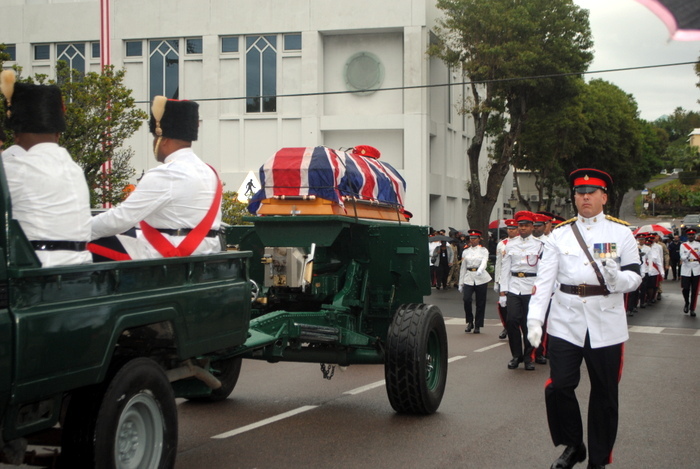 The cortege was led to St John’s churchyard in Pembroke by the Regiment’s Band & Corps of Drums and escorted by an honour guard.